New York - New York Police Commissioner William Bratton says his department declined a request by presumptive Republican presidential nominee Donald Trump to attend a police roll call Friday. But Trump spokeswoman Hope Hicks told The Associated Press that neither Trump nor his campaign staff asked to address the roll call. Bratton said he would be happy to brief Trump on the department’s actions in the wake of Thursday night’s attacks on Dallas police, adding that presumptive Democratic nominee Hillary Clinton had made just such a request. He did not say if that had happened. How fast will it be b4 lying Hilary uses this golden opportunity to pander to the black community for votes? Word has it she previously asked the 'black lives matter' gang for an official endorsement. 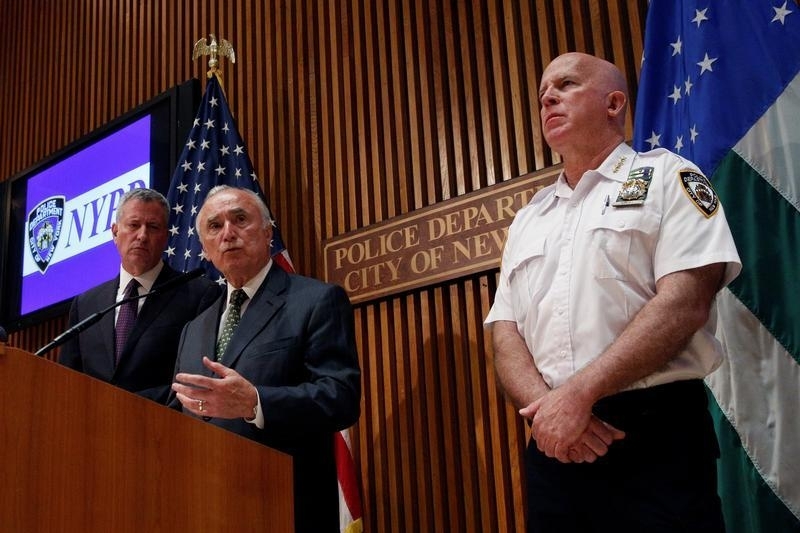 Bratton has way more credibility than Trump. Someone in the campaign evidently thought it would make for a great photo op. Since there is no formal organization of the "Black lives matter" movement I don't know how Clinton could ask for an endorsement. Neither candidate has addressed the billing of Blacks by Blacks which is a daily occurrence in many American cities with the number far surpassing the number of people of all races killed by police nationwide.